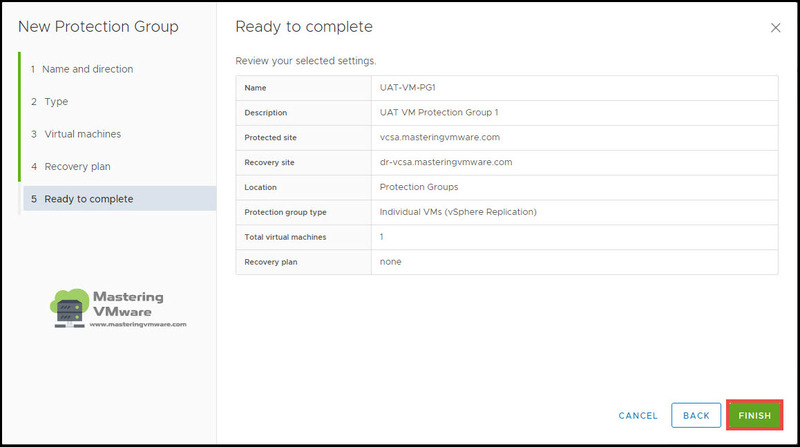 In this post we will see on how you can create protection group in site recovery manager. 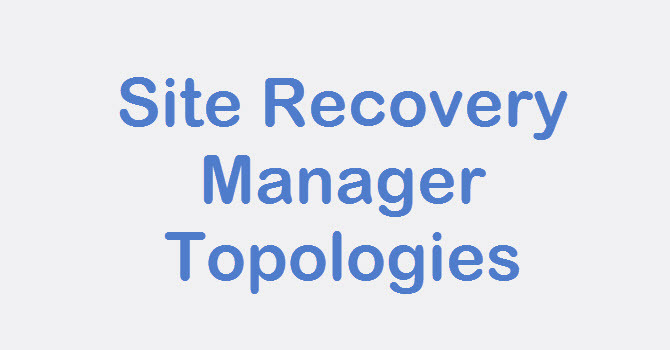 Protection group is an important part of the Site Recovery Manager, without configuring protection group you can not recovery virtual machines. Protection group allows you to logically groups the multiple virtual machines which will be replicated together. You can add single or multiple virtual machines in the protection group based on your requirement. 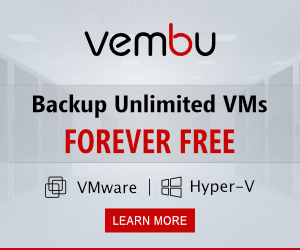 For example you have an Application which consists of web and database server, In this case you will have 2 virtual machines for each so you can add both the virtual machines in single protection group. 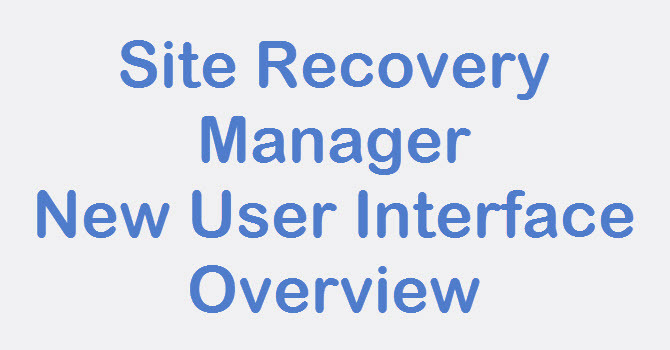 So when you perform recovery both the virtual machine will be recovered at the Recovery site simultaneously. 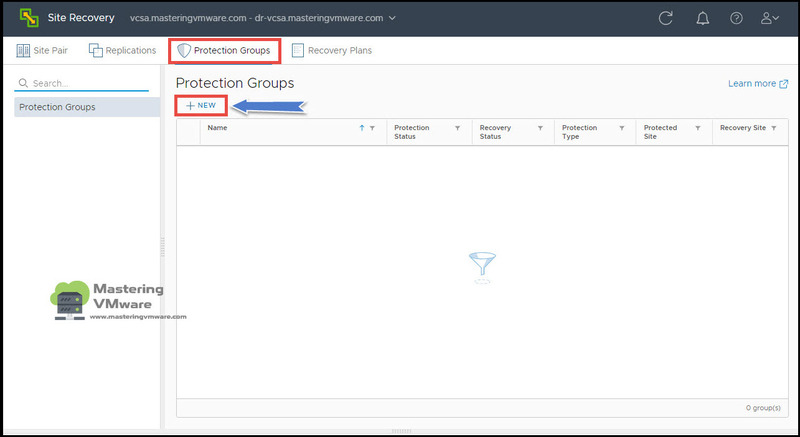 A protection group contains virtual machines whose data has been replicated by either array-based replication or vSphere replication. 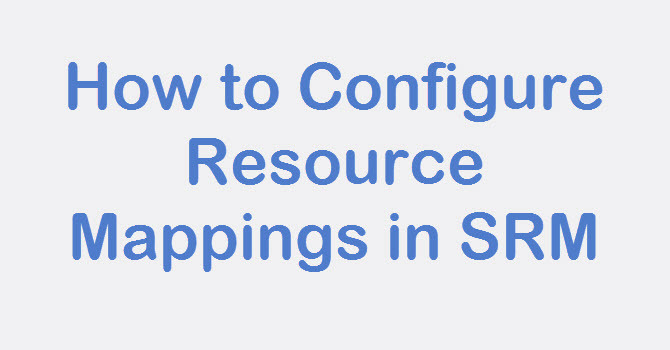 Before a protection group can be created, replication must be configured. A protection group cannot contain virtual machines replicated by more than one replication solution (e.g. 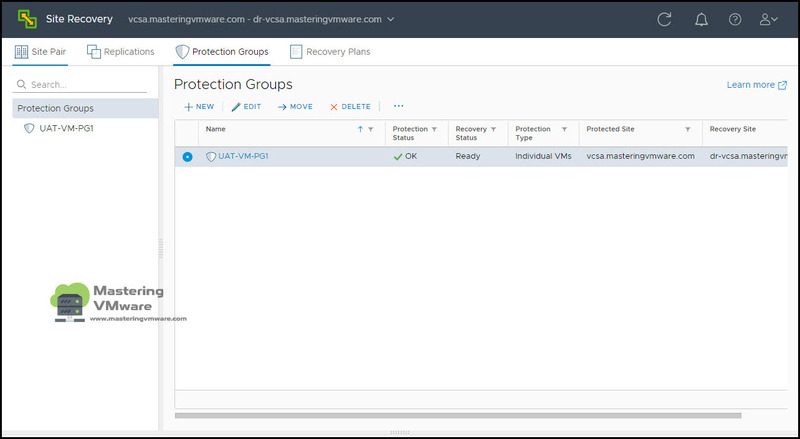 same virtual machine protected by both vSphere replication and array-based replication) and, a virtual machine can only belong to a single protection group. Go to Protection Groups Tab. Click on NEW to create new protection group. Provide the Name and Description for the Protection Group. 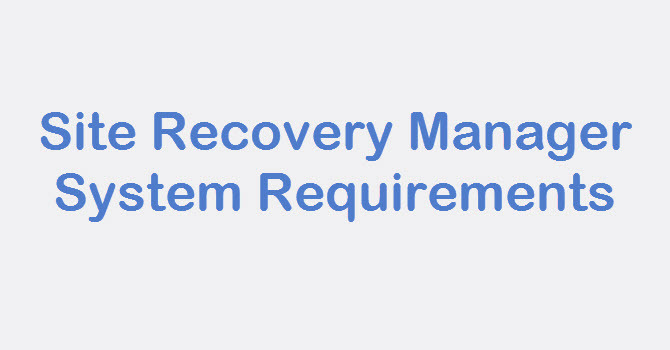 Specify the Direction for the recovery of the VMs. Here you can specify Type of the Protection group you want to create. 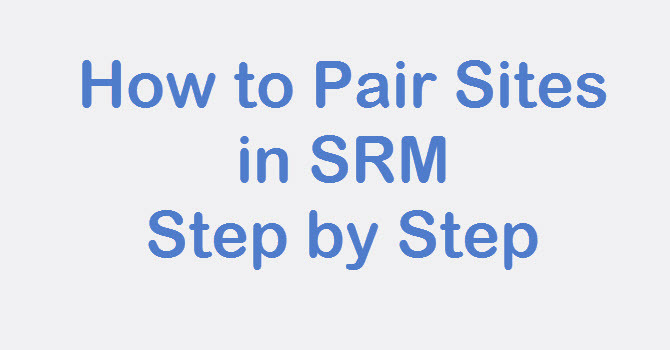 As we are using vSphere Replication select Second option : Individual VMs(vSphere Replication). 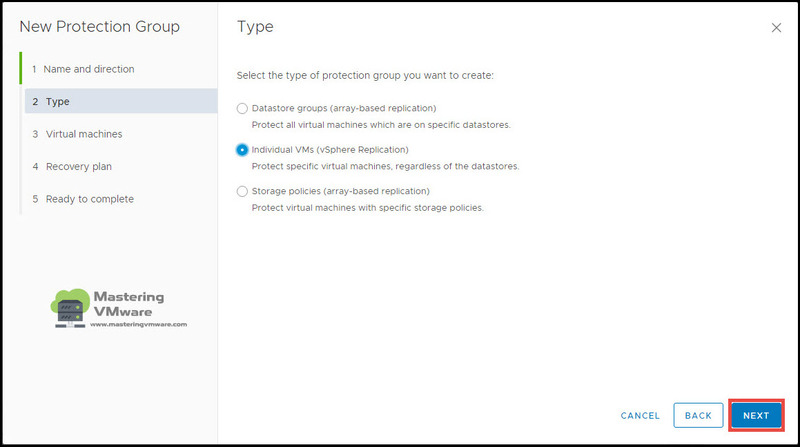 Here you can select the Virtual machines to be added to the Protection Group. You can select single or multiple virtual machines based on your requirement. 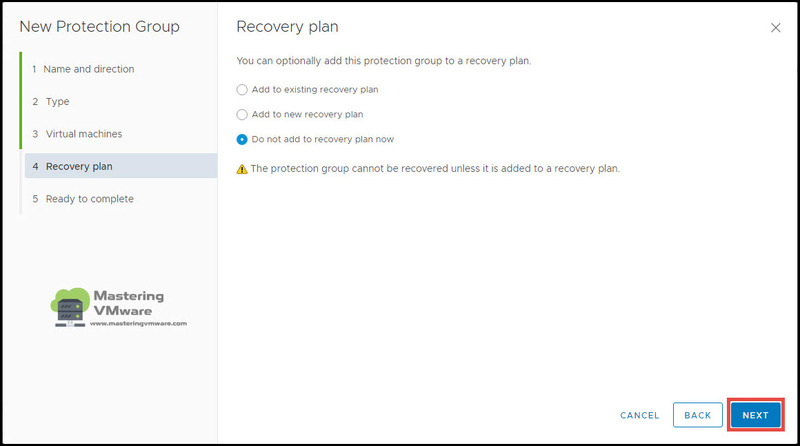 You can add Protection group to Recovery Plan from here but as we don’t have any recovery plan, we will see on how to create recovery plan in the next post. Review the configurations of Protection Group. Click Finish to create the protection group. You can see that Protection Group is created successfully and listed. 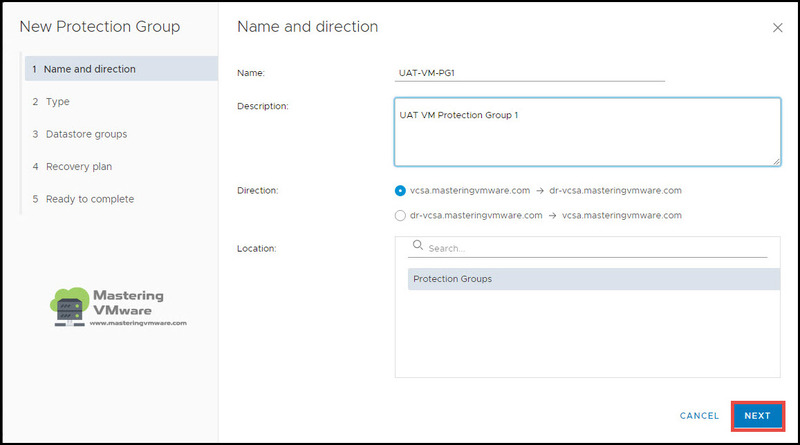 You can create multiple Protection groups as well based on your requirements. You can also manage protection group from here such as Edit or Delete the protection group. That’s it, Using this way you can easily create protection group step by step. 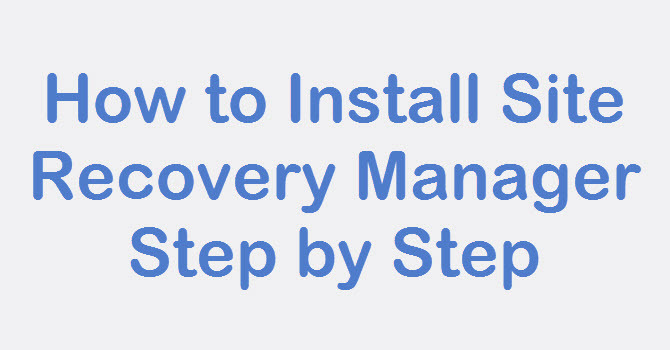 How to Create Recovery Plan in Site Recovery Manager ?